After travelling through the depths of the man-made tunnel, the light at the end signifies a spiritual beginning. Here, nestled among the hills, lies Shahenshah's cave. The mystical man's natural abode is enchanting. There is an evident drop in the temperature; cold yet magically refreshing. Moistened cave-walls give off a permanent fragrance of rain, heightening the sense of calm. 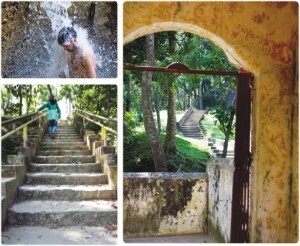 This, magical place, is located right in Marine Drive, a stretch of road with the vast ocean on one side and hills and water-falls on the other, of Cox's Bazaar; the first of the many picnic spots of its type. A local guide provides ample information and brings to attentions the hidden wonders you may miss along the way. Travelling on, one gets to visit the now famous 'observation tower', where a famed poet comes once in a while, to find his muse. The entire place is a cornucopia of history, mystery, poetry and of course romance. But the fact that Cox's Bazaar has a lot more to offer than that which meets the eye, is no surprise. The well-travelled route to Himchari has plenty of scenic spots sprinkled along the way. Entering Himchari, one may opt to take the narrow road leading away from the famous water-fall in favour of a less treaded path. This narrow road leads one directly towards yet another waterfall, one which most people aren't aware of. This area, however, is more isolated and hence the allure of nature is more pronounced. Having seen the sights of Cox's Bazaar, its time to head off towards different pastures. Within approximately 45 minutes and with 70 taka, one can take a speed-boat off to Moheshkhali. Host to one of the biggest hubs of fish in the country, Moheshkhali is also where the famous Adhinath Temple is located, atop the summit of Mainik Hill. 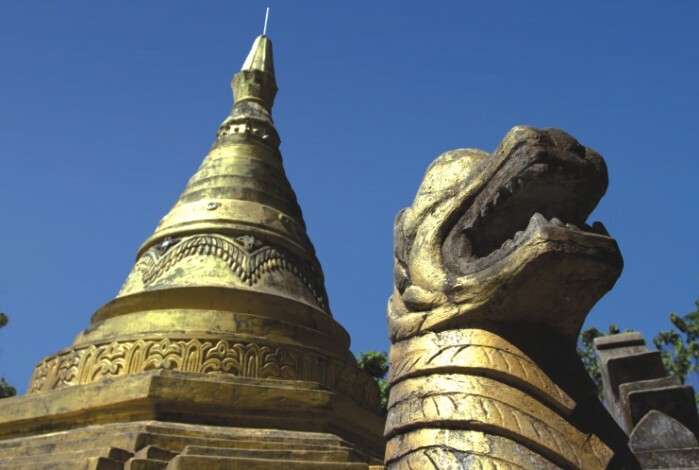 Besides Adhinath Temple, a dedication to the Hindu god Shiva, there are various another Hindu and Buddhist temples to explore. The Rickshaw-Pullers of the area act as the local guides, taking one to all the 7 most famous spots of the little island. But make sure that you fix the fare beforehand. 300 taka should about cover for the expenses. Finally, one can also walk along the jetty, which was a gift from the King of Nepal. The almost one kilometre long jetty, goes almost near the heart of the ocean, from where one can be awed by the vastness before them. It's almost like standing on the edge of the wall, with the horizon seemingly never-ending. 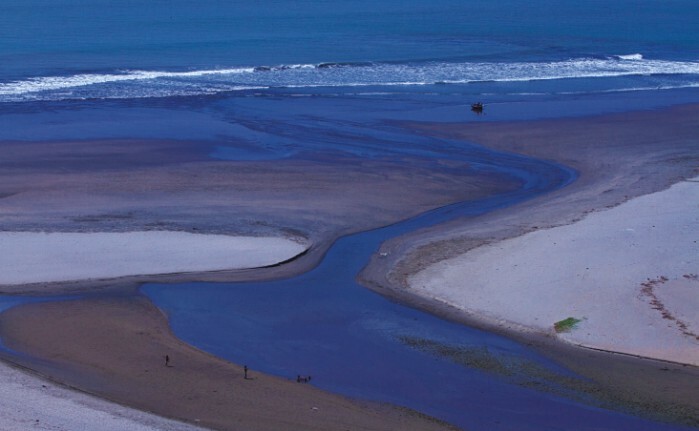 Cox's Bazaar's beauty doesn't just end with the longest stretch of sea beach. There are many more hidden treasures to discover. So, in order to make the visits non-repetitive, one with a sense of adventure can be in for plenty of surprises. Because a bedroom is the part of the house that is on least display to guests, it is easy to play less attention to it in comparison to other more public areas. The bedroom has a range of practical functions which need to be taken into account before considering design and decor. 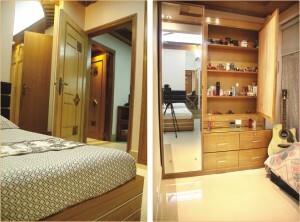 Apart from sleeping, it is a place for storing clothes, getting dressed, reading and perhaps watching television. This week, we are describing a contemporary bedroom. We enlarged the room by including the adjoining veranda and window punch in the bedroom floor area. In order to accommodate utility areas, we customised furniture according to the space we worked with. The inhabitant of the bedroom a young girl envisioned the room to be trendier than other parts of the apartment and our interiors were designed to reflect contemporary culture. There are many different ways to create a contemporary look, but a modern style is predominantly about clean lines and clear spaces. In this era of sensory appeasement, aromatherapy and fengshui are considered mainstream and natural colours, fabrics and decorating materials are used to enhance a feeling of well-being. Minimalism has been the biggest recent influence on home decor and the quickest way to get the contemporary look is to clear surfaces, put away all your clutter, lay a wooden floor and light some candles. Efficient storage is essential in a modern bedroom. It allows clothes, shoes, cosmetics and jewellery to be stored out of sight and in a clutter-free manner. Ideally, clothes should be in a separate dressing room freeing up space in the bedroom for functional furniture, but in reality very few apartments have room for a separate dressing area. However, a contemporary bedroom can still be created by using a little creativity. In terms of furniture, a double bed will immediately occupy a large amount of space and dominate the room. We thus chose a low platform bed in the shape of a box and a head-board covered with foam and fabric. The fabric is black matte silk which is held in place by thin stainless steel bars. This basic upholstery makes for a comfortable back rest. The bed can be accessorised by fitted bed sheets and pillows or cushions. For easier storage of shoes and accessories, we opted for a simple, built-in closet and to serve the purpose of a dressing room, we enclosed the area meant for the veranda with a mirror-front cabinet. A vertical reading section is positioned beside the dressing area and it includes horizontal wooden panels set against the table. We also created an alternative seating area or day bed under the window punch. A natural palette of greens, browns and ivory complement the use of wood in a room. However we opted for ivory, brown and black. We used cream wall paper on the walls and two long mirrors on the wall behind the bed. The reflections in the mirror give the illusion of more space. Lighting in a bedroom can be divided into definite areas. The room as a whole might need general lighting but the bedside area will need reading lights, while task lighting will help you find things in the wardrobe after dark. We used accent lights above the cabinet and bed. Flooring in a contemporary bedroom is best kept plain. We placed porcelain light beige tiles against a dark beige skirting. The light colour makes the room look cleaner and calmer. An attached bathroom is also mandatory for modern living. We renovated the existing bathroom with new tiles, fixtures and fittings. In end note, a contemporary bedroom is characterised clutter free ambience and de-cluttering is all about learning to be organised and aesthetically appealing at the same time. Understanding your skin will make it easier to deal with and address your problems, using a bit of guidance from professionals and more importantly, using your common sense will be beneficial to the general wellbeing of your skin. What is a pimple ? How and why does it occur? How does it turn into acne? What the hell can be done to get rid of it? The Anatomy of a Pimple. Pores are openings in the skin that allow for two things -- hair growth, secretion of oil or sebum from oil glands or sebaceous glands. Occasionally these pores get blocked, similar to your sink pipe that will not allow water to drain; a clogged pore doesn't allow oil to escape from the skin. This excess oil build-up triggers the growth of acne causing bacteria that occurs naturally in our skin. We all have it, some more than others, but when it grows too quickly, you get a pimple. 1. Dead skin cells - This gets sloughed off naturally when we wash our face and is replaced by new cells. 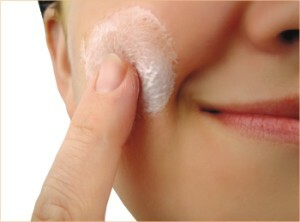 If for some reason the dead skin is not removed they get mixed with the sebum and clog pores. 2. Overactive oil glands Everybody, regardless of gender, have both male hormones (androgens) and female hormones (estrogens). It's the androgens that stimulate the oil glands to produce extra oil and trigger the over-production of skin cells, both of which lead to acne; usually during puberty and sometimes before the menstrual period. Even though men have higher levels of androgen and therefore more oil in their skin, they often struggle less with acne as adults because the amount of androgen in their bodies does not fluctuate from month to month. 3. Propionibactirium acnes - The more acne causing bacteria in your skin the more likely you are to get breakouts. Their production increases naturally during puberty resulting in acne. 4. Inflammation - All the trapped oil and bacteria becomes too much for the pore to contain and it bursts under the skin sending contents into surrounding tissue. This causes redness, irritation and pus. This is when a clogged pore turns into acne. So what can we do to contain this problem? Cleaning acne-prone skin is very important. Use a cleanser with salicylic acid for pimples and blackheads which will take away redness and unclog pores. For whiteheads, use one with benzoyle peroxide. Alternate between the two if you have both. Deep cleansing Biore' or Ponds nasal strips are quite effective in removing blackheads from the nose. If you are one of those hair obsessed people, you would know that hairstyling and maintaining your hair is not an easy task. However, it's not hard either! With the right tools and products, you can say goodbye to bad hair days. So let's take a look at what kind of basic tools everyone should have. Hair dryer: You need to use a quality hairdryer to avoid numerous dangers in the cheaper models. You should have a dryer with multiple speed settings and a cool shot button to lock hair in place after it's been heat styled. To create more volume or waves, be sure to pick up a hair dryer with a diffuser attachment. Cheap hair dryers that use metal or plastic elements diffuse positive ions that cause the (normally neutral) cuticle covering of the hair shaft to open, causing frizz and dull appearance. Ionic hair dryers produce negatively charged ions, which cause the cuticle to remain flat, "trapping" moisture, eliminating frizz and giving hair more body. Plus, they dry hair faster than regular dryers and leave it shinier and smoother. This is because they don't "cook" your hair dry like the old metal or plastic coils did. However, these hair dryers can be a little expensive. Hair Iron: Depending on your hair length, use a suitable-sized styling iron. Both flat irons and curling irons come with different features and styles. There are also wet-to-dry irons that are great for those of you who don't have the time to blow-dry before straightening. I recommend a ceramic flat iron with curved edge plates that will create curls and waves as well as straight styles. Note: To get bouncy curls from a flat iron, take a strand of hair and wrap it around the bottom plate of the iron. Close the iron and slowly glide the iron from top towards the end of hair, and rotate outwards. Different types of hair brushes and combs: Depending on the type of style you want to achieve, use a suitable brush or comb. Bigger barrel will mean bigger curls, whereas, smaller barrel will give u smaller curls, but everyone must have a round boar bristle brush, as it helps you both curl and straighten. To tease your hair, try a wide tooth comb although some prefer a bristle brush more. A Healthy Heat Protectant (It's not a tool but a must-use product): It's highly recommended that you use a heat protectant before you blow dry or use a styling iron. Give your hair a break and protect your hair while heat styling from split ends and dryness!